A love affair with food. Mainly coffee & bourbon biscuits . Living my life on a non-stop rollercoaster. Sassy lass with two beautiful bunnies. Blunt & to the point are phrases that have described me. But also a laugh. Exercise junkie, gym lover, runner. I could write a dissertation on why I am Vegan. To sum it up in a few sentences, I turned Vegetarian when I was 17; it was a whim & a fad. After a few weeks I realised it was easy & I felt a lot healthier. I then decided to do a little research, because of my love for animals I realised being Vegetarian was no longer a fad for me. Two years ago I looked into Veganism, I thought it was going to be hard so I had been putting it off for a while. I set myself a challenge to do it for a month. With the wide range of great Vegan food & my love of all things Vegetable I found it so easy. I never changed back. I’m Vegan for animals, the planet, the environment, my health & my happiness. I love blogging, I am never afraid to say what I think; I’ll happily shout the praises of any amazing products that I try. I started blogging when I took up my ‘challenge’ to change my diet to Gluten-Free & Vegan all in one go. I got such a kick out of people reading my journey. 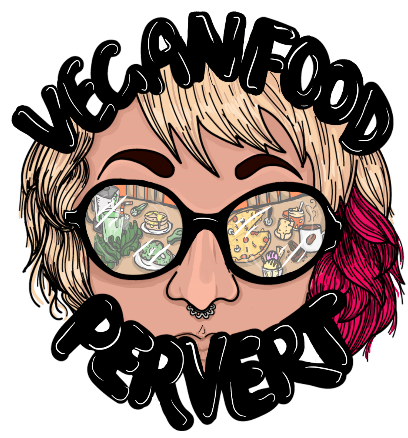 Now I enjoy helping other people either find Veganism, coping with Gluten Intolerance, or just being friendly & answering queries while telling people about amazing new products.